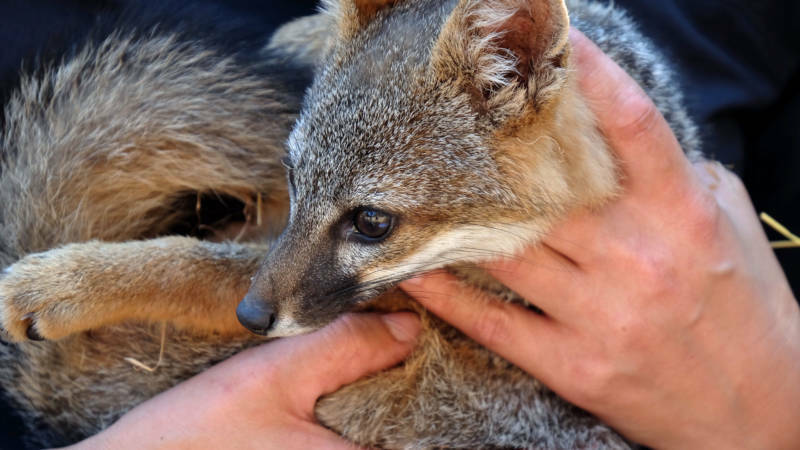 A diminutive California fox, near the brink of extinction just 12 years ago, is being removed from the endangered species list. It’s the fastest recovery of any mammal on the list, according to federal wildlife officials. The Channel Islands fox is only found on six islands off the Southern California coast, with each island home to its own subspecies of fox. Island fox numbers plummeted after a cascade of human impacts. Early ranchers brought non-native pigs to the island. At the same time, the native bald eagle population crashed because of the pesticide DDT. With no eagle competition, golden eagles began arriving from the California mainland, finding an abundant food source in both piglets and the tiny foxes. Only a few dozen foxes remained on three of the islands, San Miguel, Santa Rosa and Santa Cruz. Ten years ago, a pig eradication effort began (causing a minor uproar). The golden eagles were relocated and bald eagles, which don’t eat foxes, returned to the islands. A captive breeding program for foxes also began. Today, the islands are home to several thousand foxes. “That’s the power of the ESA [Endangered Species Act] – not just to protect rare animals and plants on paper, but to drive focused conservation that gets dramatic results,” Dan Ashe, director of the Federal Wildlife Service, said in a statement. The wildlife service is delisting three of the six island fox subspecies (two subspecies were never listed). 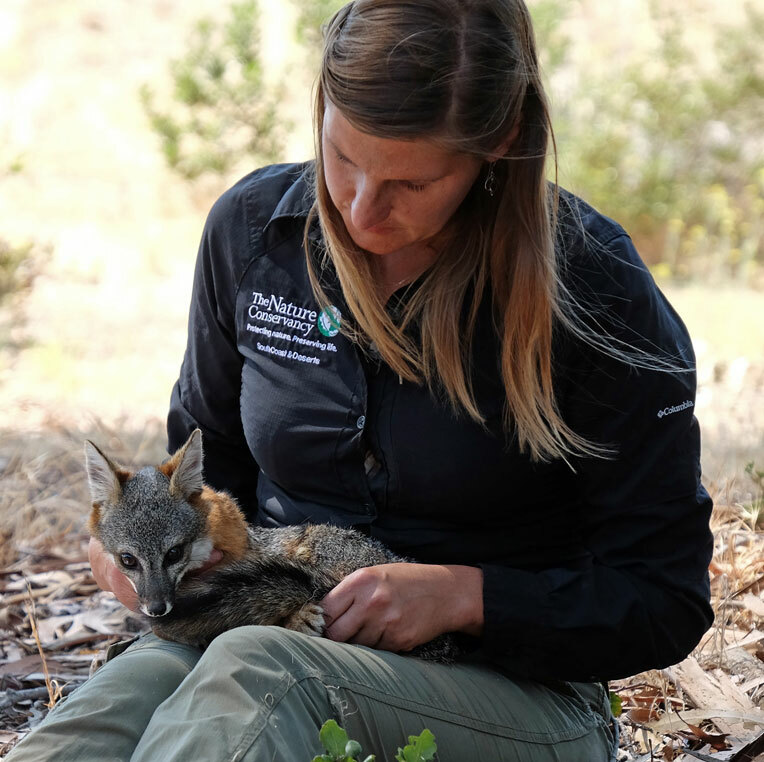 The foxes on Catalina Island will remain a threatened species due to concerns over canine distemper, a virus spread by dogs and other wildlife that can be fatal to foxes. The fox is the 37th species that has been healthy enough to be removed from the endangered species list. More than 2,000 species are currently listed.